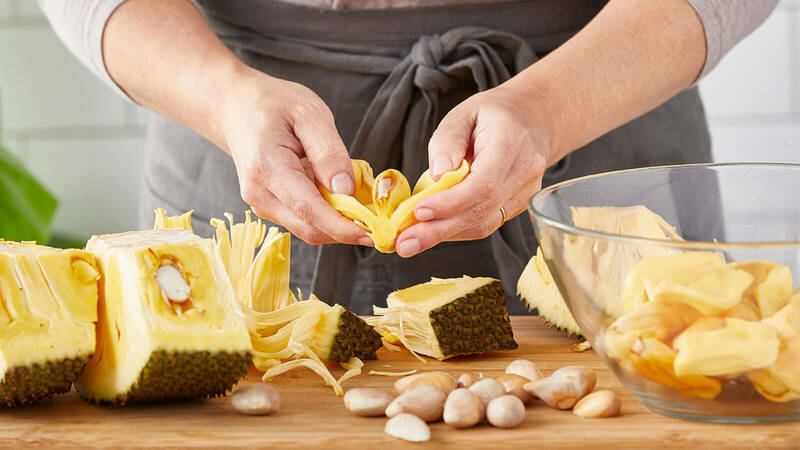 Discover what this unique, versatile and delicious fruit has to offer. Big fruit with even bigger potential. 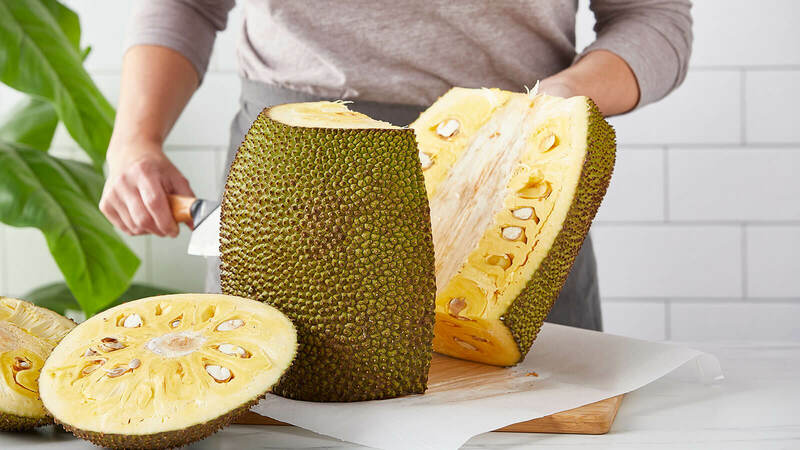 Never heard of jackfruit? You’re in for a treat! 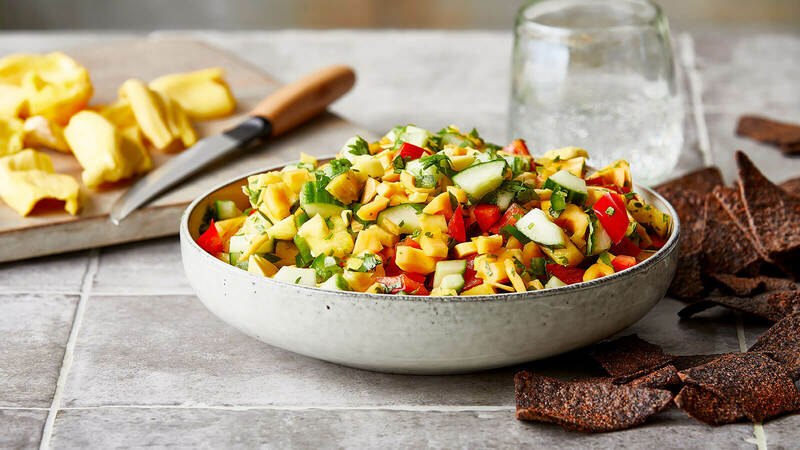 This mild-flavored tropical fruit is most often used as a vegan-friendly alternative to pulled pork and chicken. 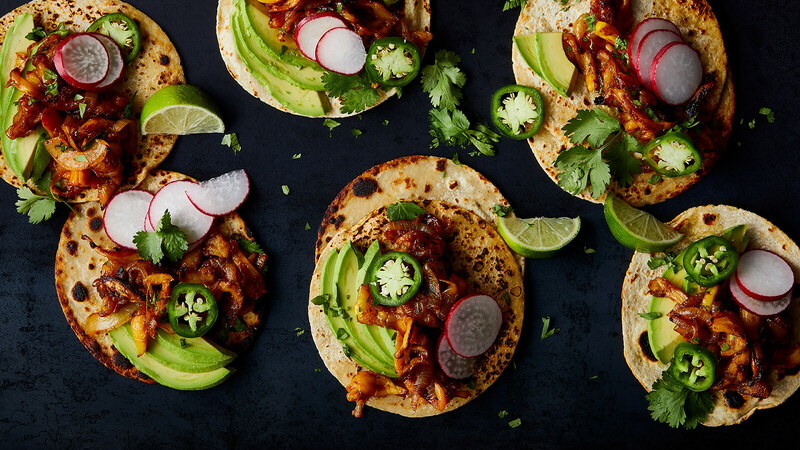 Its subtle-sweet flavor and adaptable texture make it a great substitute for meat in everything from tacos and enchiladas to curries, BBQ and salads. 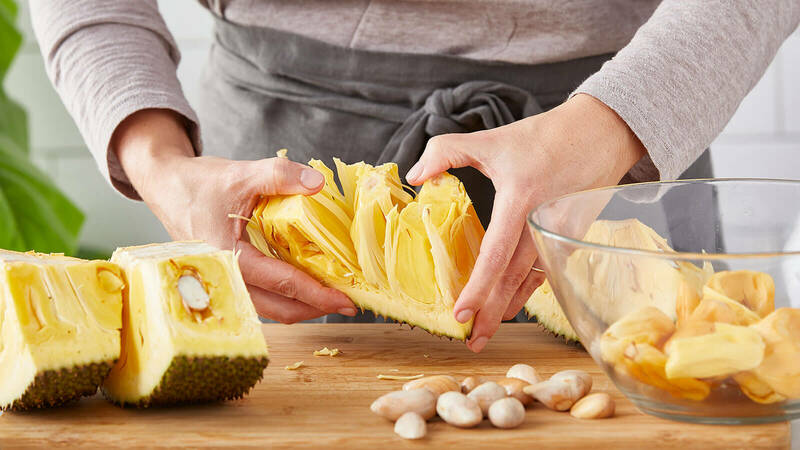 The jackfruit is often referred to as a “miracle fruit” thanks to an abundance of health benefits. It’s also incredibly versatile. Try it pan-fried, slow-cooked, sautéed or braised. You can also enjoy it raw as a refreshing snack or blended into smoothies, yogurt bowls, dressings, salsas and slaws. 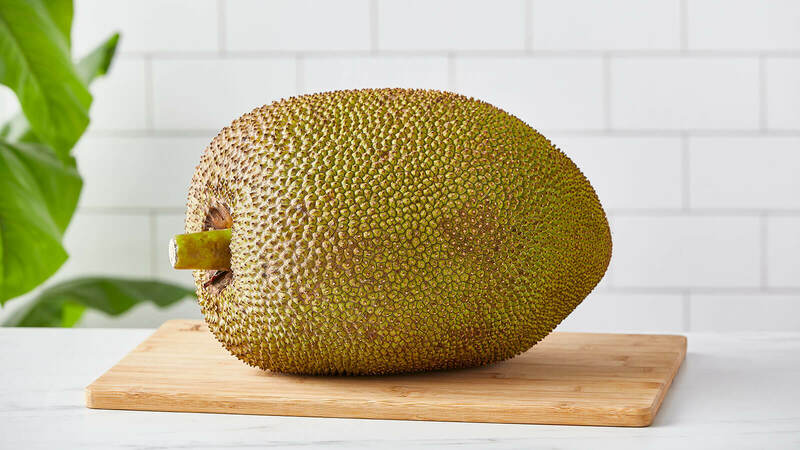 Jackfruit is the largest tree fruit in the world! If you’re ready to add them to your must-try list, simply boil them for 20-30 minutes, season and serve. When cooked, the flavor and texture is reminiscent of potatoes! 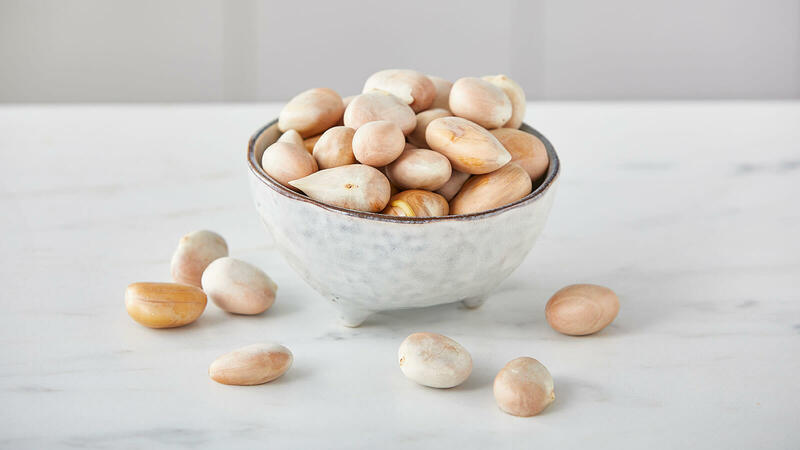 They’re also nutrient-rich and high in protein, so they’re a great addition to your menu. 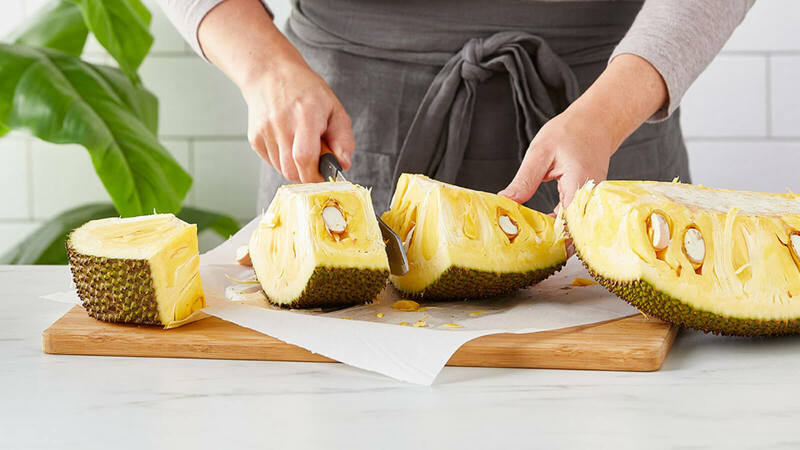 Jackfruit’s mild flavor and versatile texture make it an ideal fruit to incorporate in both sweet and savory recipes. Try it raw or cooked as a hearty side or meat substitute. • Try adding jackfruit arils to smoothies, juices or cocktails • Puree the arils into a dressing • Slice up the arils and enjoy as a snack • Serve arils alongside a dessert such as ice cream, yogurt, pudding, coconut sticky rice or cake • Enjoy the seeds roasted or boiled as a snack, in curries and stir-fries, or as a potato and gnocchi substitute. You can also give one (or all!) of these creative recipes a try. 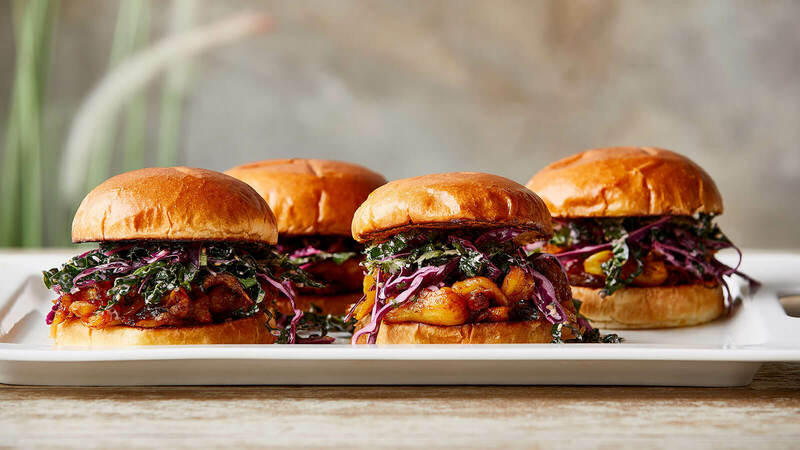 Our vegetarian-friendly Pulled Pork-Style BBQ Jackfruit Sandwiches are as hearty and flavorful as the real thing. 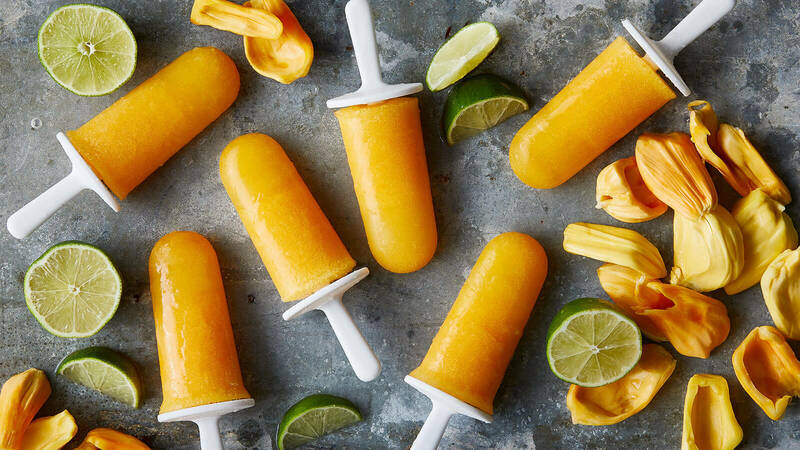 We also have a super-simple recipe for Jackfruit Citrus Pops that uses jackfruit, lime juice, sugar and coconut water to create a refreshing frozen treat. 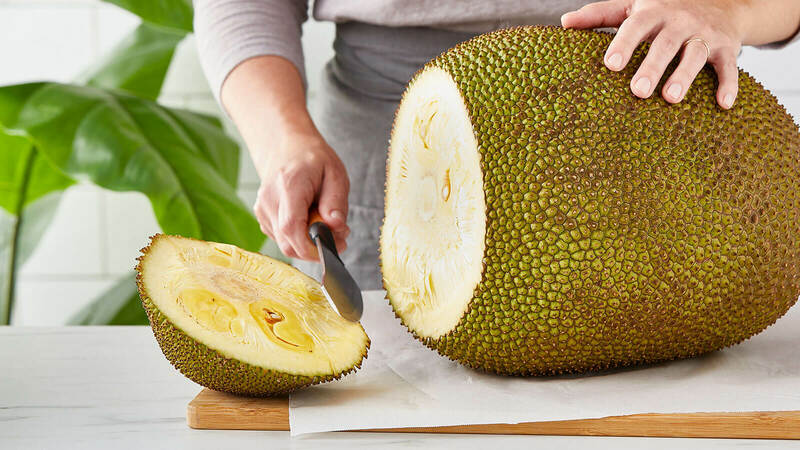 Jackfruit is quite the heavyweight, with the average fruit weighing in at a whopping 30-50 pounds! 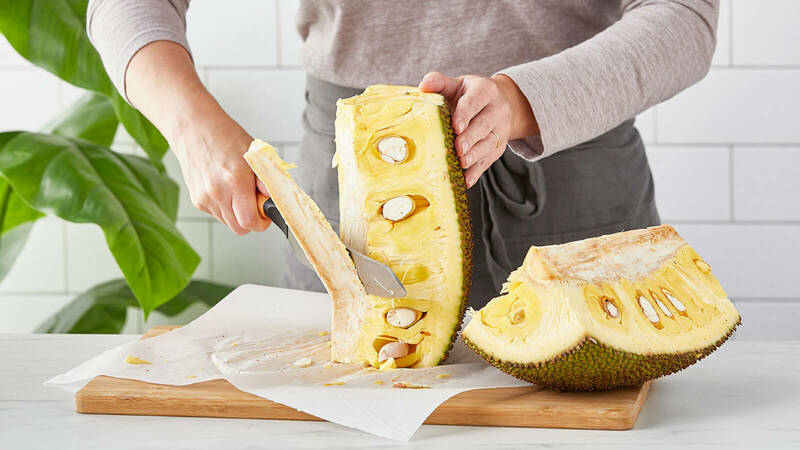 Note: Jackfruit produces a sticky sap when cut. Simplify clean-up by applying cooking oil to your knife, wearing gloves and lining your work surface with parchment paper. 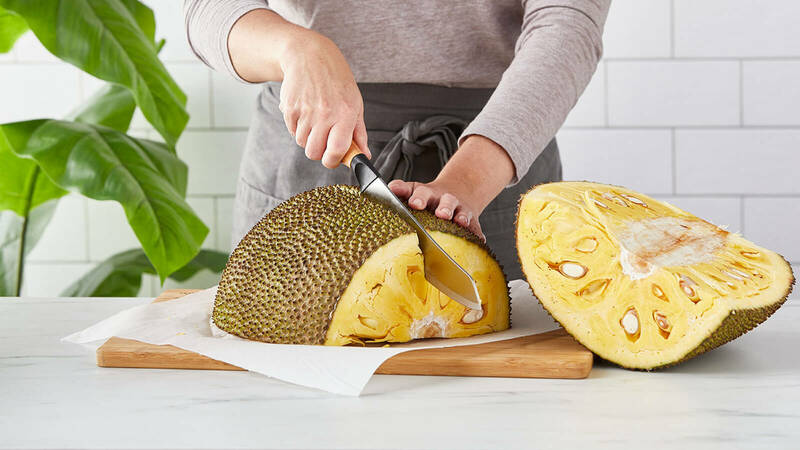 Thoroughly wash jackfruit and place onto parchment paper-covered cutting board. Cut off both ends of the fruit. Slice fruit vertically, cutting in half through the core. Slice each half into quarters. Stand each quarter on flat side and slice away fibrous core, removing completely. Repeat with remaining quarters. Slice each quarter into 3-4 inch wedges. 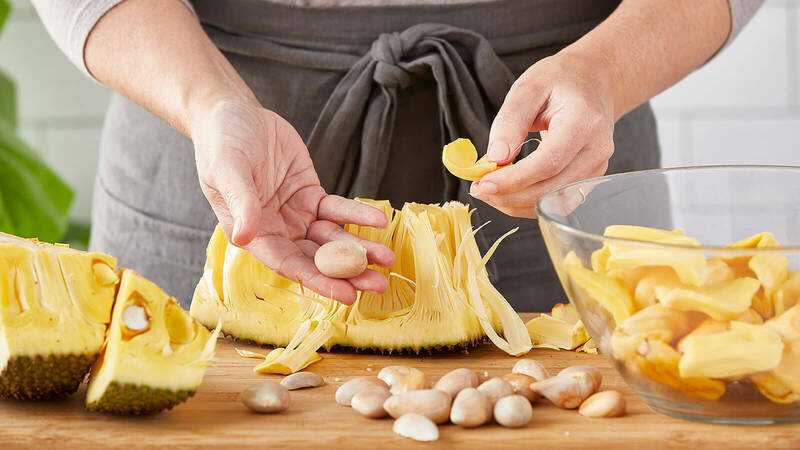 To get to the yellow edible fruit (arils), use your hands to pull the aril away from white fibers, completely removing it from the rind. Remove seeds and reserve for roasting or boiling, if desired.